I think that we are at a crossroads with the park. It’s no longer needed as a draw to downtown, rather it’s primarily needed as a resource for the weekday and full time residents of Downtown. 2. If the concentration of homeless people continues, the $15 million re-design will NOT make Moore Square more attractive. Likewise, If the concentration of homeless people is diminished, Moore Square will become more attractive EVEN WITHOUT the expenditure of $15 million. 3. The redesign will replace the beautiful old light fixtures with plain new fixtures. This will diminish rather than improve the attractiveness of Moore Square. 4. The redesign will remove the beautiful old Japanese maples in the center of the square, and some of the large oak trees. This will also diminish the beauty of the park. 5. 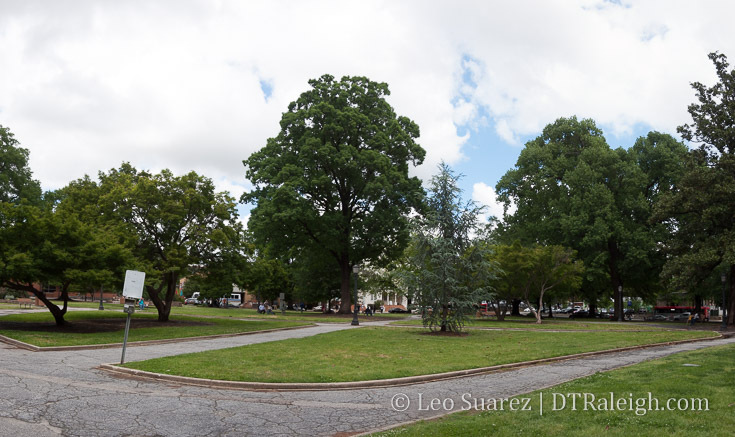 The redesign will increase the impervious area of the park by a factor of four, which will jeopardize the health of most of the 49 large trees. This was pointed out in the report from the Tree Conservation Task Force. The loss of these trees will diminish the beauty of the park. Furthermore, it could cost the City upwards of $100,000 to remove the trees as they gradually die. 6. The redesign includes a public bathroom, which will increase the attractiveness of the park to homeless people, and will require constant monitoring by City staff to keep safe and clean. 7. The redesign includes an outdoor performance area. 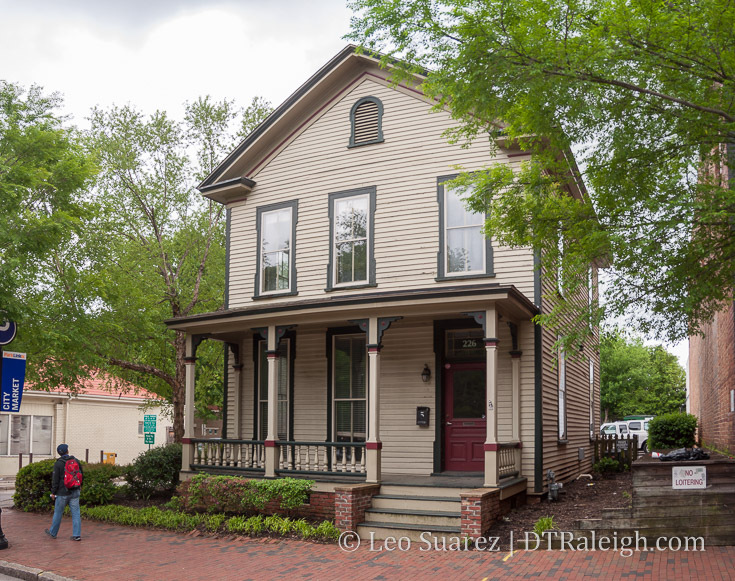 But Raleigh has MANY nearby outdoor performance areas including the Red Hat amphitheater, the Art Museum amphitheater, the Rose Garden amphitheater, the Mordecai Park lawn, and the State Capitol lawn. Furthermore, during the frequent downtown festivals, performances are held right on Fayetteville St. and the cross streets. 8. The redesign includes a restaurant in the park, which would compete with privately-owned restaurants nearby. The City already tried this with the Mint restaurant, and it turned out to be a poor use of taxpayer money. 9. Moore Square could be made more attractive to families simply by the establishment of a playground with play equipment. This could be done at a cost of less than $100,000, thus saving the City nearly $15 million. 10. There are parks throughout the City that could actually benefit from more expenditure. 11. The City is supposedly going to spend a very large sum to transform the Dorothea Dix property into a major park. Therefore we need to start saving money for that huge project! Raleigh really needs a second space for events. Today was the City Plaza Farmer’s Market and it was quite small. 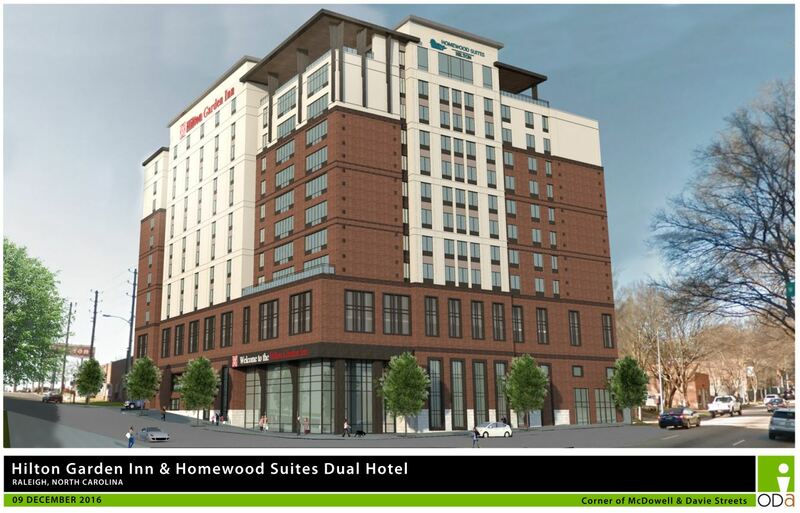 I found out the reason: the Marriott absolutely refuses to allow the city to close Fayetteville St. south of Happy + Hale. That means the city is crippled when it comes to holding events. I think that’s bull. I agree with Matthew Brown 200%. Until we address the issues with the present day treatment and care for the mentally ill and victims of drug abuse in the US, we will never truly solve the homeless problem. In the past, the answer was incarceration in prison or mental asylum and sterilization. I’m not saying we need to go back to those institutional extremes, but the current model of writing prescriptions and turning patients loose is clearly not working. The system is ripe for abuse and the people who need the most help never get it. If we took it upon ourselves as citizens with a moral/religious dilemma, maybe we could help fix the problem better than the city or state ever could. The answer is not to cut down 100 yr old trees to add bike racks and phone chargers. The park needs an update. It is not inviting or in good repair. The shame is that it ok this long to finally get started. I would love the homeless, mentally ill, and drug addict issues in America to be solved, but I don’t want our downtown held hostage to that. The people that do nothing to contribute to our society and only present issues shouldn’t have a special set of rules at our expense. We should be enforcing existing laws about drug use, public urination, loitering, panhandling, etc. to help our public spaces. Public spaces are for people who pay taxes, not vagrants. I feel bad for them but letting them ruin our city doesn’t help them or us. But I do agree that the money spent on the park is a waste if they can’t get the homeless out of there. This post is not about Moore Square but I have read some info. on our downtown ! I saw on The Planning Commission Agenda for next week that a developer has requested a zoning change for a DX-12 for 406 – 408 S. Dawson St.Also I saw on the Council Minutes for April 18th ,Closed Session , discussion on a company incentives on moving & buying land close to The Convention Center ! It might be 404 – 406 S. Dawson St.Not sure on the numbers ! On the Moore Square restaurant, more kiosk really, all the businesses around the square were in favor of it. The thinking was that anything that brought more people there would be a good thing. What are your thoughts on what all that could mean? Do you think the zoning request is to build something taller at that block on dawson? Im curious as to what the talk about land around the convention center is as well. Sounds like maybe something besides hotels are in mind for that area..
Is the 400 block of South Dawson already zoned DX-12? I would have thought that this area would already be at least that if not more??? Has anyone heard the status of the 18 story (very cool design) high rise behind the Ashley Christensen restaurant? Robert , The paperwork states going from DX-4 to DX-12 ! Trent , I haven’t heard anything about this area except what the minutes stated ! Dwight, you may be talking about this. Marriott definitely needs the street open as the Porte-cochère is right there. So which AC restaurant are you talking about Anthony? Personally I never thought it had to be a given that homeless services had to be located downtown. It just seemed like a default on the heels of suburban flight. I think it’s fair to readjust that map as long as services are located along a frequently served bus line. I, too, agree with Matthew Brown, above. The park could probably use a minor facelift, but not this huge redesign. Bruce, ok. That is interesting. Thanks William3 ,I Love This ! Site plans are currently under review as of December 2016. The Buffalo Tire sight hasn’t even had a proposal or rendering released and is likely just a spec purchase. Moore Square needs a repaving and could benefit from having the sidewalks remapped a bit. I’m not a fan of the new designs I’ve seen though. They’re too busy looking. Thanks for that, have not seen that updated design. Dumb and Boring compared to the original. 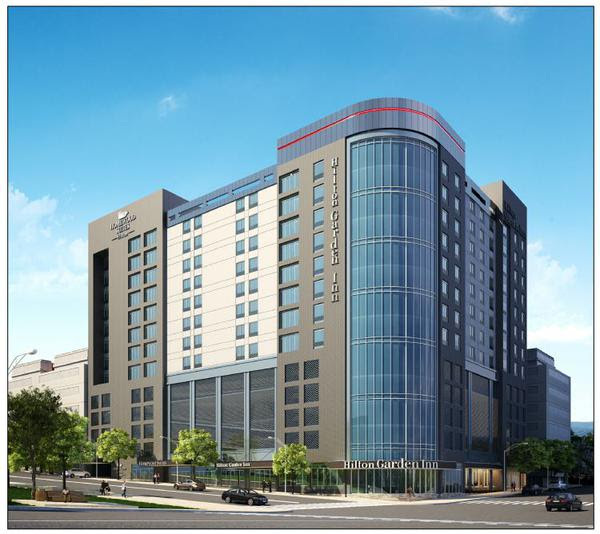 Per the comments above – does anyone know when the Hilton dual brand is slated to start construction? This article says fall of 18′ (http://www.newsobserver.com/news/business/article126633404.html) but we were at Enterprise this weekend to rent a vehicle and they indicated they were moving locations in 2-weeks. Is construction starting fall of 17′? Also – agree on many of the comments above re: Moore Square. A play structure is really an ideal (low cost) addition that would bring in families to the park, especially since it’s adjacent to Marbles. I’m personally a big fan of some of the proposed revisions to the park (ie a more extensive reno), but agree that absent of the right program applications, that the money would not be well spent. Al, I feel like I have seen the bait and switch on exterior design a few times now in Raleigh though I can’t point to other examples. Really only the objective components are reviewed by City staff, but I feel like better looking exteriors get publicized at first to head off any criticism, then quietly get changed as part of the final design. Anyone else notice this? Am I imagining this (certainly possible)? Don’t know the start date but there was a “Public Notice” sign in front of the site a couple weeks back in advance of the city council meeting. I’m sure one of the sleuths on this site can find a link to what the hearing was in reference to? rezoning? variance? site plan? Once Moore Square gets its’ highly anticipated makeover, I wish we would do something with Nash Square. Since the logistics of having a “river walk” or something similar seem to put it out of reach, it would be nice to redo Nash Square into a public area with a water feature. Not necessarily the fountain type that kids play in but something similar to Fountain Place in Dallas. Keep as many of the outlying trees as possible with park benches etc. and expand on the idea of Fountain Place in the middle. I don’t think Nash needs any changes, but having said that, there is a small stream that originates under Nash Square’s SW corner..at least historically there was, and is all culverted under Martin St now (the Union Station dig exposed some of that old granite culvert) that causes me to imagine totally infeasible setups. Every time I’ve been by Nash Square it is all but empty. If we are going to have a “traditional” revamped, city block park 4 blocks away, wouldn’t it make sense to do something unique with Nash? Still a public park but do something that will actually attract people. We’re going to have a destination park of a couple hundred acres less than a mile away and revamped city park 4 blocks away. I don’t see how Nash is going to serve much of a purpose in it’s current state after these projects are complete. @Daniel, activity at Nash and any other park/square downtown is directly related to the decisions made around it. It takes people to make these spaces lively and the people don’t originate in the park itself. Active street level experiences on as many sides of the park as possible and high density housing, business and hotels nearby are the key to its use. Investing 15 million into an area that has been problematic for over a decade is a poor investment. Moore square should have completely done away with and turned into a parking area for marble museum and the local restaurants there. Having spent time sitting in the Park in 1970 when it was safe and well kept was a joy. It may be time to go back to making Fayetteville street the primary focus of downtown and even going back to turning Fayetteville street into a pedestrian walk where folks can walk lesisurely from one restaurant, club, or bank. Raleigh must find another way to deal with its homeless proble, but investing 15 millions dollars, and providing a public restroom will not entice folks to spent time there.